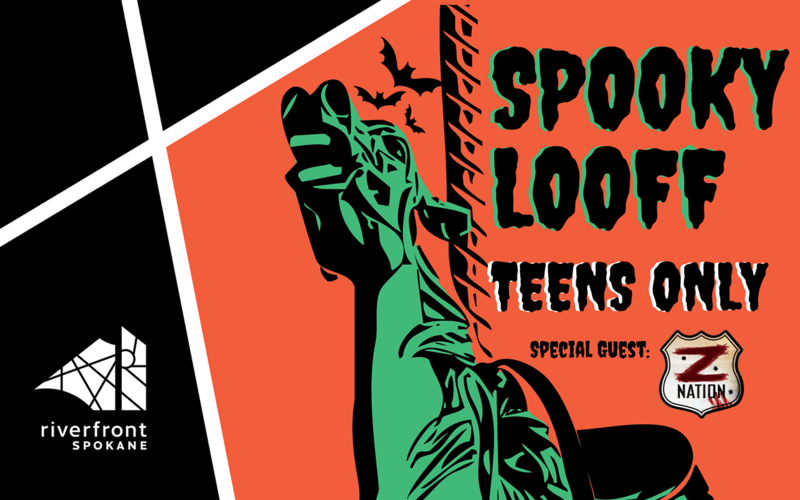 Take a spin on the Spooky Looff and hang out with Z Nation in the zombie lounge at Riverfront's first Teens Only event at Riverfront Park's Looff Carrousel. Admission includes music, food, video games, Carrousel ride, and other spooktacular surprises! Holiday attire or costumes encourages. No masks or weapons of any kind. Increased security is dedicated to this event. No large bags allowed in area. Small bags searched at door. *Proof of age required with driver's permit/license or school id (ages 13-18).